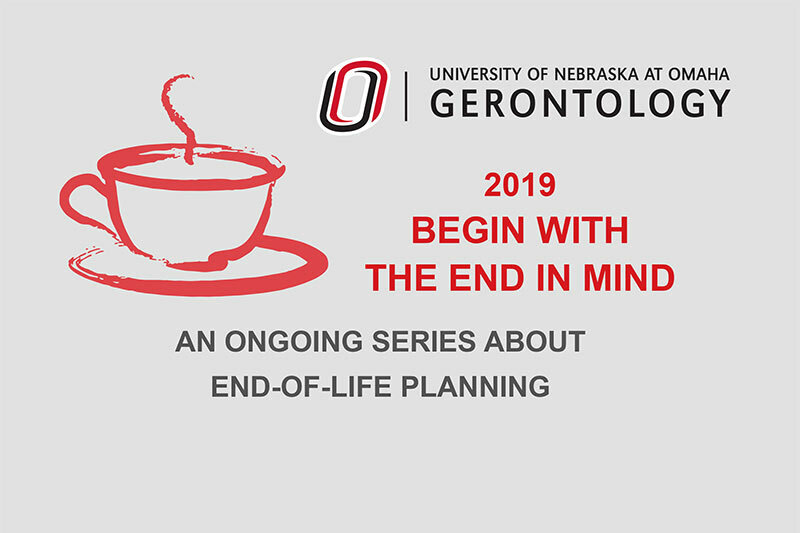 Plan to attend the 2019 Begin with the End in Mind: An ongoing series about end-of-life issues. View flier. Apr. 15 | Abby McConnaughhay, J.D., M.A. | Legal Issues at End of Life. For more information, contact Maria Sorick, 402.554.2272 or msorick@unomaha.edu. This event was originally scheduled for Jan. 18; but rescheduled due to weather.